When anglers think of summer fly fishing they often envision high mountain streams or tailwaters and trout. Few anglers think of bass and panfish as an opportunity. The summer months offer many opportunities to explore Tennessee’s warm water streams and rivers in pursuit of bass and other sunfish with a fly rod. Fly fishing for warmwater sport fish can be very exciting, particularly when anglers target the top water bite with poppers. Popping bugs provide for a very visual angling experience and represent the pinnacle of excitement when fly rodding for bass or other sunfish. Many of Tennessee’s warmwater streams and rivers offer these angling opportunities- not to mention a nice reprieve from the summer heat. Typical fly rods of choice are 5 to 8 weight and are usually 8.5 to 9 feet in length. 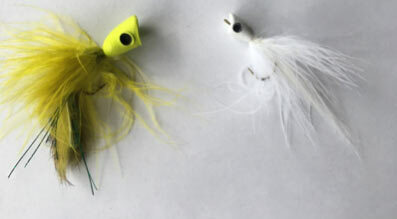 Because presentations are not as delicate as those made when trout fishing, anglers can use bigger tippets (6-8lb test) and should not be concerned about making presentations that are less than perfect. In fact, these “bad casts” can actually entice fish to investigate. When fishing poppers anglers can target shorelines or fish the main float line “thalweg” with a slow retrieve pausing the popper and letting the ripples settle before making another retrieve. Often it’s good to let the popper sit for the better part of minute before making another strip of the fly line. Fish will sometimes come to investigate and then explode on the fly after watching it for a short period of time. This technique can also be used in combination with a subtle twitch of the rod tip to induce a strike on the resting fly. Poppers that imitate grasshoppers, frogs or other terrestrials are good choices and sizing the bug to the species you are pursuing will increase success. Green and white poppers are good general color choices, but darker colors may be more productive in stained water. 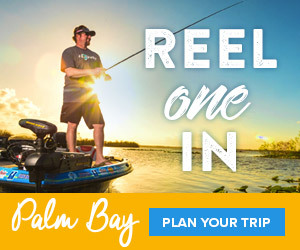 Whether fishing for Bluegill, Rockbass or Tennessee’s state fish, Smallmouth Bass, anglers can expect explosive action and a rewarding visual experience while exploring Tennessee’s amazing rivers and streams. For more information about stream and river access throughout the state visit the Tennessee Wildlife Resources Agency’s Boating and Fishing Access web page.